Welcome the Spring season with colorful tangled sunflowers. 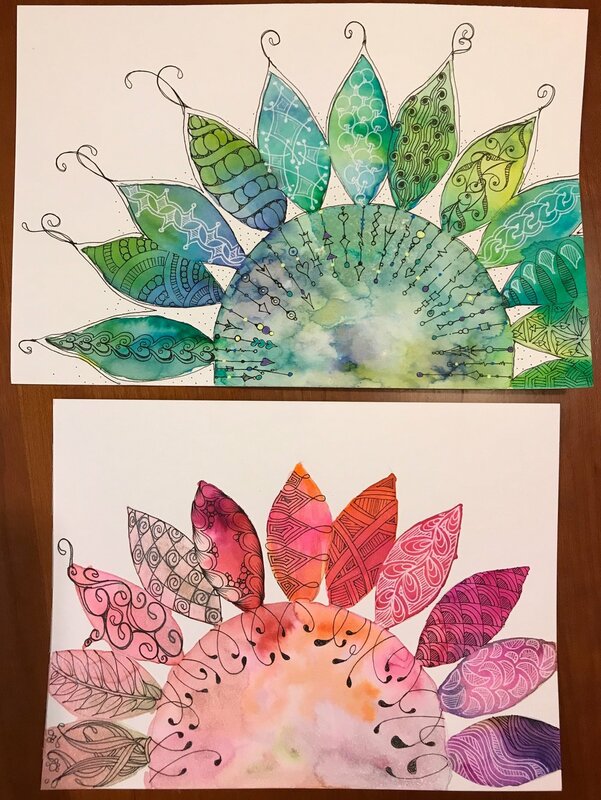 With an easy flower template and a simple watercolor technique create the background for a tangled sunflower. Note: A Zentangle® Basic pre-class is offered at 10:30 AM, please inquire when reserving your seat.